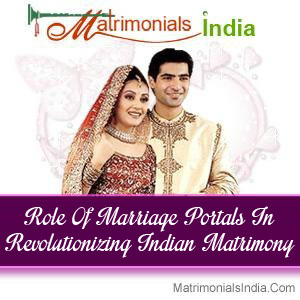 Role Of Marriage Portals In Revolutionizing Indian Matrimony[/caption] It is rightly said that the online matrimonial portals have revolutionized the Indian traditional method of finding a suitable match. Now, there is no need to rely on local marriage agents or acquaintance to find a desirable partner. Just register with a leading matrimonial portal and your perfect partner is a few clicks away. Millions of prospective bride and grooms are available irrespective of the community, religion, caste, region and language. Marriage Portals are a fast, easy and reliable alternative to find the best possible match as per your preferences. Abundance Of Choice The Matrimonial Portals provide an excess to a large number of profiles to search for the potential match. Individuals can create their own profile and upload their pictures to increase the chance of responses they receive. It is safe and secure way to find the more appropriate options as per the requirements of various people. Refined Search Marriage Portals allow the people to view the profiles and filter their search according to their preferences regarding the caste and community, region and religion, profession, and age. These portals also help in providing the general information about the prospected bride and groom, like educational qualification, interests, hobbies, family background, career history, etc. Free and Reliable Most of the leading Matrimonial Portals allow the people to create their profile for free. No charges are applicable for finding your suitable match and to get their personal details. This is why more and more people are opting for this online service. In addition to this, these portals are extremely reliable to find an ideal soul mate as they have opened new windows for the people to know each other in a better way. Easy to Approach After selecting a suitable profile, it is very easy to approach the other party by showing interest in the person. If the person is also interested, contact details can be exchanged to arrange a meeting to discuss the further possibilities. If all goes well, the couple can tie the knot. Some Marriage Portals also offer other follow up services like booking venues for wedding ceremonies and planning memorable honeymoon trips. The array of services offered by these portals has contributed extensively to their growing popularity among the Indian families. 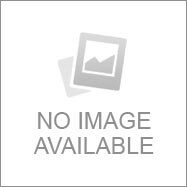 These websites are gradually proving themselves successful in finding the ideal match for millions of people.